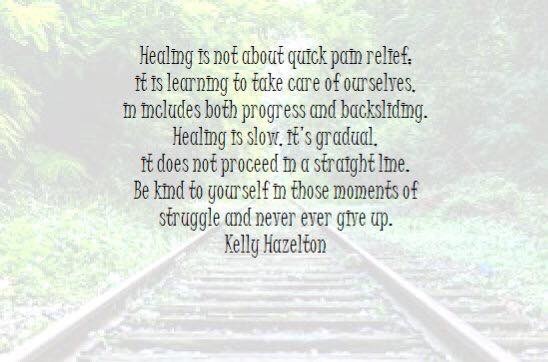 life is short, but you can’t rush healing. – sam finds faith. life is short, but you can’t rush healing. Every year that goes by, I’m realizing that time somehow speeds up. Summer used to last forever, but this one was over before I could even really get a handle on it. All too often I’m reminded just how short life can be. But something I’m learning in this stage of my life is that no matter how short it is, or how fast it passes, healing should never be rushed. For years, I’ve been on a path of discovery: discovering Jesus and myself and the world around me. On that path, I’ve found a lot of old wounds that I didn’t deal with and new ones were opened. Being a Christian with a circle of Christian influences and friends, I was filled up with truth and scripture about healing and the Healer, and I stamped it right on my forehead and claimed it for myself. But really, what treatment did I really undergo? The answer is sadly, very little. Some things only needed the bandaids, the minor cuts and bruises. Other things healed with time, like most abrasions, requiring exposure, air, and maybe some more serious bandages or casts. But what about the cancerous things? The poisonous things? The wounds that went beneath my skin? Things written on my heart and mind, and running through my veins? Those things have required so much more time and attention than I’ve given them. And it’s gotten me into more messes with more wounds and a lot of scars. So this time, I’m going to give them the time. I’m going to sort them out, let my feelings they bring come and even stay until they’ve completed the work they’re doing in me before I let them go, and I won’t give up. Previous postyou see me. | a poem. Next postGirl Scouts messed me up.